In addition to our school-based English development and in line with our curriculum focus of enhancing learning and teaching effectiveness, we have joined a variety of programmes. In order to build our students’ confidence in English, we encourage students to join different activities and competitions. Our school joined the Grant Scheme on Promoting Effective English Language Learning in Primary Schools (PEEGS). A wide range of readers including printed books and e-books are taught to expose students to a variety of text types and themes and to develop their self-regulated learning skills with web-tools. To raise our students’ confidence and motivation to learn English, we have a playgroup programme for P.1-2 students. 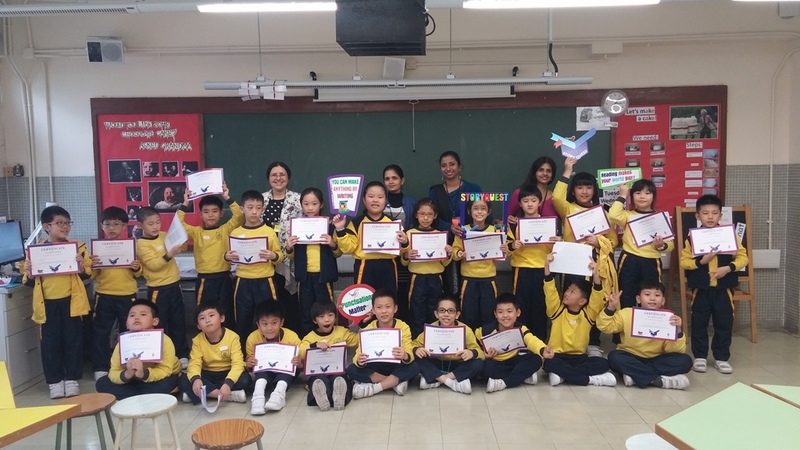 Every Tuesday, students participate in fun activities including games, movies and drama, while interacting with our NET, Mr. Edward and English teacher Ms Yam. We implement a school-based reading programme from Primary 4 to Primary 6. Students experience guided small-group reading and independent reading in lessons, enjoying fun post-reading activities, also. Our NETs, Mr Edward, Ms Anisha and Mr Warren, co-teach with our local English teachers as part of the PLP-R/W programme for Primary 1 to Primary 3 students. 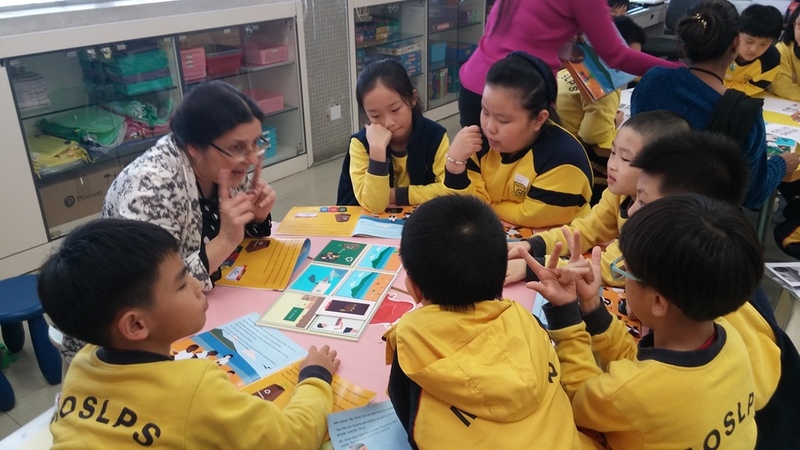 For Primary 4 to Primary 6, they co-teach with our local English teachers in weekly speaking and listening lessons as well as guided-reading in small groups. To enhance students’ speaking ability, we have one extra lesson for oral practice. A school-based curriculum designed to equip students to speak English with confidence. 網頁地圖 | Copyright © 2016 基督教香港信義會馬鞍山信義學校 . All Rights Reserved.